Any substantial impact to the body, whether from a car accident, contact sport or accident from work, can cause whiplash or other neck injuries warranting a chiropractic evaluation. Any substantial impact to the body, whether from a car accident, contact sport or accident from work, can cause whiplash or other neck injuries warranting a chiropractic evaluation. One of the problems with a whiplash injury is that symptoms can sometimes take years to develop. Those who don’t seek the necessary corrective health care for the injury can often end up with more serious complications and more joint damage in their necks. Even after whiplash victims settle their insurance claims, some 45 percent report they still suffer from symptoms two years later. It doesn’t matter how severe the injury seems; if soft tissue damage occurs with the spine and the nerves, health problems can result. If you or someone you know suffered a whiplash injury, it is very important to have an evaluation by a doctor of chiropractic. Proper spinal care is an extremely critical step in helping the spine and nervous system recover from injury. A doctor of chiropractic specializes in the natural corrective approach of whiplash management. Many factors affect the impact injuries can have on the spine. As the body ages it becomes less flexible, range of motion decreases and muscles become weaker. 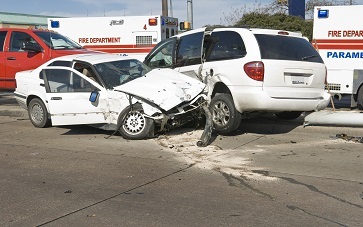 Whiplash injuries can result in more severe problems in older people. This is why it is imperative for anyone with a whiplash injury to get a chiropractic evaluation immediately after an accident.